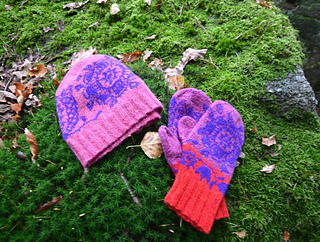 This is our second e-book, which was published December 2014 in Norwegian (“Flere votter fra eventyrvotter”), and February 2015 also in English: “More mittens from the fairy forest”. 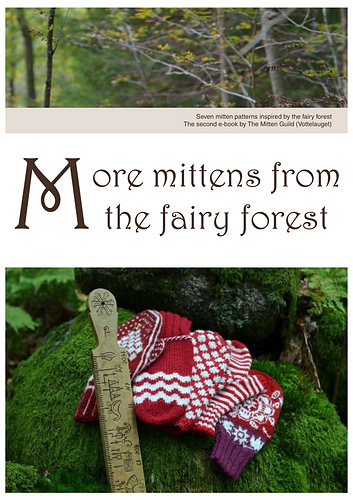 Our first e-book is also possible to purchase, and is called: Mittens from the fairy forest. The patterns from these two e-books, plus six exclusive new patterns, are published in a hard cover book in Norwegian only, by Aschehoug, August 2015. But all the colour work patterns have clear charts, in addition to the text. Når du kjøper denne e-boka, får du både den norske og den engelske utgaven, fordelt på to ulike filer. /When you purchase this e-book, you will receive the English, as well as the Norwegian edition. 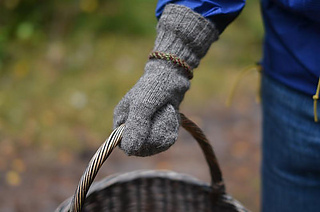 Eventyrlige votter - our mitten blog, in Norwegian but with lots of photos.